Control your home from your iPhone or iPad. Dim the lights, close the blinds, crank the volume, and start the movie— with one touch. Streamline your life using personalized, multi-device Activities that can be started with one touch. Combine home entertainment—TVs, stereos, cable/satellite set-top boxes, and game consoles—with home automation—connected lights, locks, blinds, thermostats, sensors, and more. 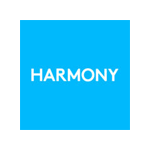 Harmony brings it together. You bring it to life. There are no other software versions available. There are no answers available for this product. Please try the Support Community. There are no answers available for this software. Please try the Support Community.